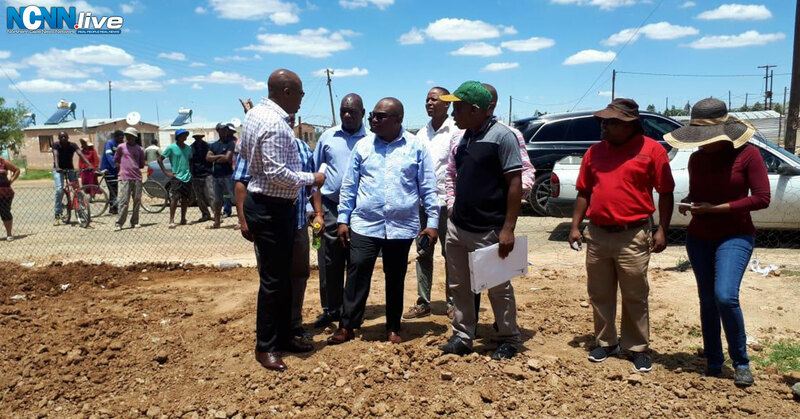 Kimberley – Scenes of jubilation were evident in Pescodia’s section of Jacksonville as the Northern Cape’s MEC for Co-operative Governance, Human Settlements and Traditional Affairs (COGHSTA) Bentley Vass handed over tittle deeds today. 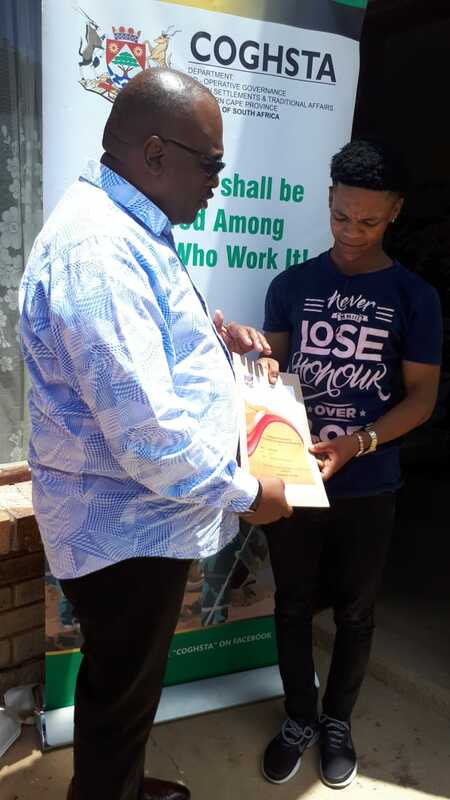 Having committed his department towards the transferring of 9192 title deeds to approved beneficiaries during this financial year, Vass delivered on his promise to restore dignity through the legal ownership of a house. “Home ownership is a form of radical economic transformation which is part of government’s objective,” asserted Vass as he visited some of the new home owners, also pleading that they safeguard this all important document. Vass’ visit to a household headed by a 22 year-old Larry Reneke had him beaming with pride. Despite his salad years, Reneke, who had inherited the erf from a deceased close relative, has kept the entire house in quirky clean condition. Vass told Reneke that owning a house “is the beginning of financial security for him and this can contribute to improved educational outcomes for him and a better future.” Reneke is currently studying financial management at the Northern Cape FET College. Vass’ fostering of property ownership is set to continue. He has also urged municipalities to loosen their grip on title deeds of those that government has built houses for. Apart from extending the title deeds, Vass is also steering his department in the drive towards building 1993 quality houses by the end of next month as part of the 2018/2019 financial year with a budget of just over eight hundred and thirty one million rand (R831 million) for its human settlements allocation. MEC Bentley Vass handing over title-deed to Larry Reneke at Jacksonville.